Dr. Kevin Weibel attended Oklahoma State University College of Osteopathic Medicine where she received her DO. She completed both a one-year internship and a two-year internal medicine residency at Tulsa Regional Medical Center, followed by a three-year combined fellowship in hematology and medical oncology at Northwestern University Medical School. Dr. Weibel is board certified by the American Osteopathic Board of Internal Medicine in internal medicine, medical oncology and hematology. She is also a Fellow of the American College of Physicians. 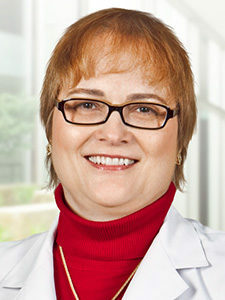 Dr. Weibel is certified by MD Anderson Cancer Network®, a program of MD Anderson Cancer Center. Oklahoma State University College of Osteopathic Medicine, D.O.